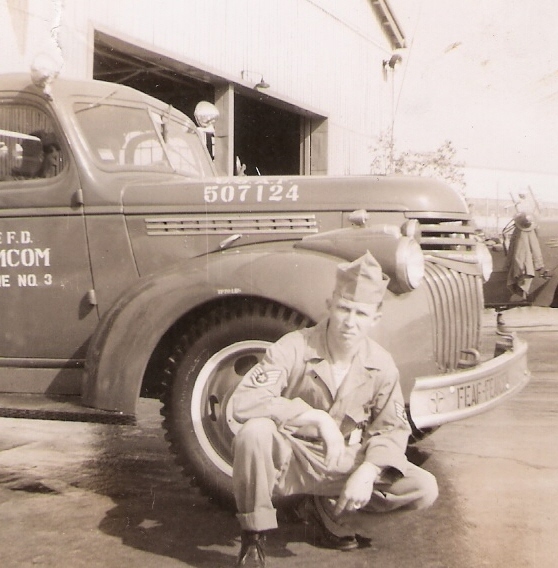 JOHNIE ARZELL NOLEN - UNITED STATES AIR FORCE: MILITARY FIREFIGHTER, 1948-61. Ashokan Farewell (Flute & Harp). If it's annoying click stop. Using Ctrl + F (Find). Note: If Something Fails to Load Click Refresh. 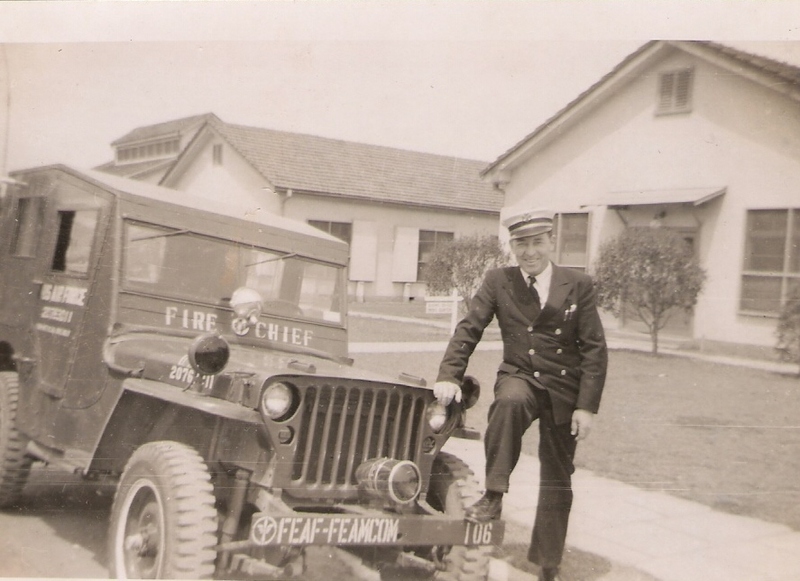 DISCLAIMER: Accessible public information has been posted on this site designed as a forum for genealogical research. Research material from other genealogist and numerous Internet sites are included in this forum. Accuracy depends on availability of information at time of posting. 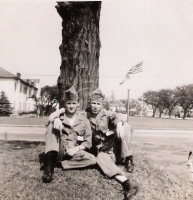 Accuracy and content are the genealogist’s responsibility. Inclusion of parties’ full name, social security information, and birth or death date is the discretion of the preparing genealogist. 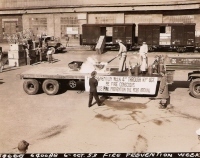 Material sent to this forum is posted in the manner sent. Do not send information deemed inappropriate for publication to the World Wide Web! FAMILY TREE DNA - NOLAN SURNAME PROJECT. 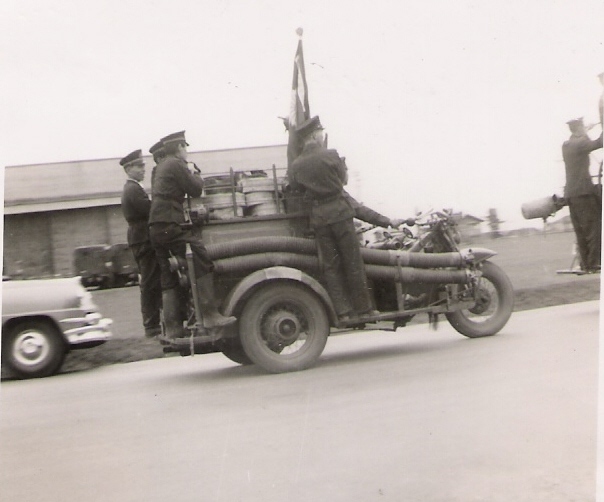 Text Only File with Endnotes: 1,000 Years of O'NOLAN History. Download: Microsoft Office Word Viewer 2003. 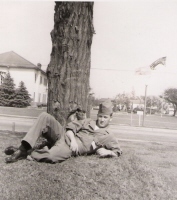 JOHNIE ARZELL NOLEN served in the United States Air Force from 7 July 1948 until 31 July 1968. 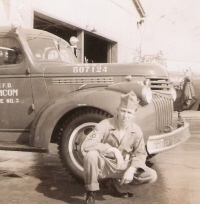 From 16 September 1952 to 3 February 1954, JOHNIE ARZELL NOLEN was stationed as a Military Firefighter in Japan at FEAMCOM (Far East Air Material Command) Tachikawa Air Base. 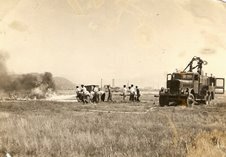 FEAMCOM and Tachikawa Air Base were divided by the field's runway. Tachikawa and FEAMCOM (Far East Air Material Command) became one Air Base in 1956. 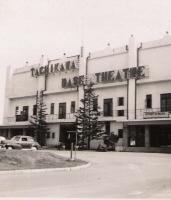 In 1977, Tachikawa Air Force Base was returned to Japan and later converted partially into a park. 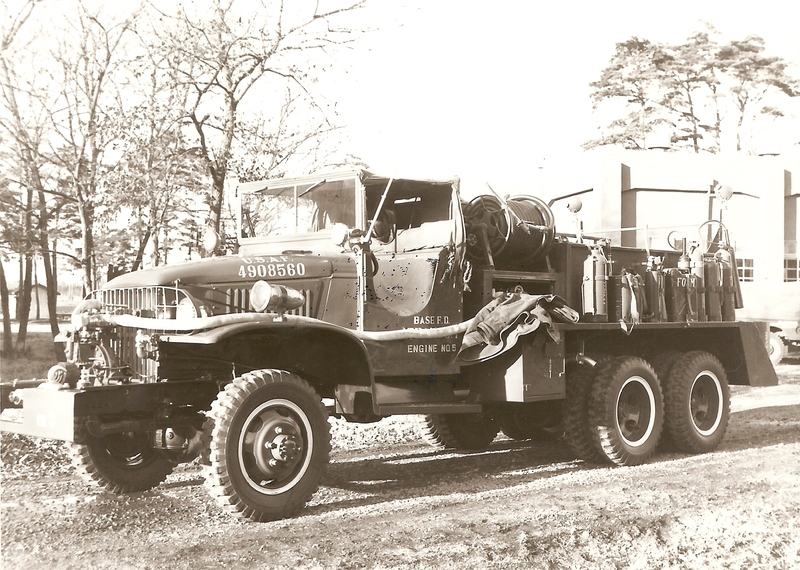 “On 18 June 1953, the worst air disaster up to that time occurred at Tachikawa Air Base in Japan when an engine fire caused the crash of a C-124 shortly after takeoff, killing all 129 passengers aboard.” (1) JOHNIE ARZELL NOLEN and his military firefighting crew responded to that tragedy and were involved in the collection and disposition of the people killed on that day. 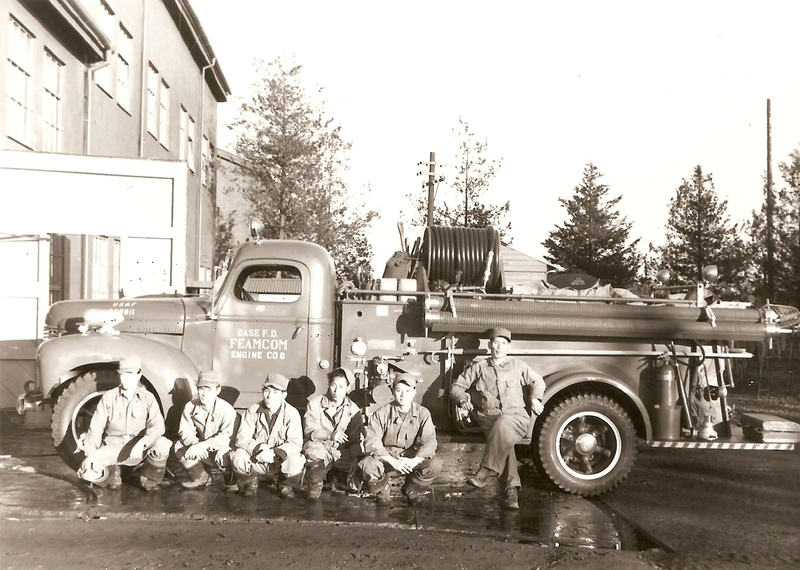 A Statement of Military Service and some photographs documenting his early military firefighting career are listed below. Several of the fire trucks pictured were Army fire trucks taken over by the Air Force according to a 2 April 2007 e-mail of Ted Heinbuch, United States Military Fire Apparatus Historian and former U. S. Army Firefighter, Fire Trucks at War. Truck #50467 is a 1941 Pirsch, 750-gpm pumper. 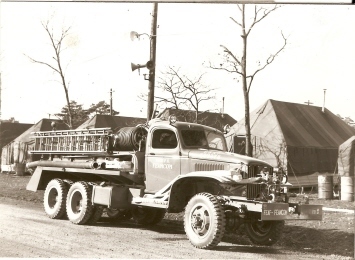 Truck #501391 is a 1941 Chev 4x4-Holabird crash truck. 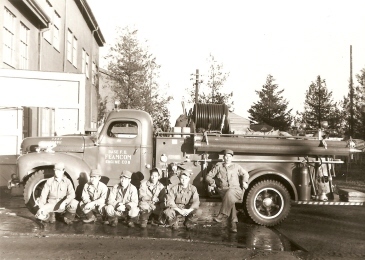 Truck #507124 is a 1943 Chev-Oren, 500-gpm pumper. 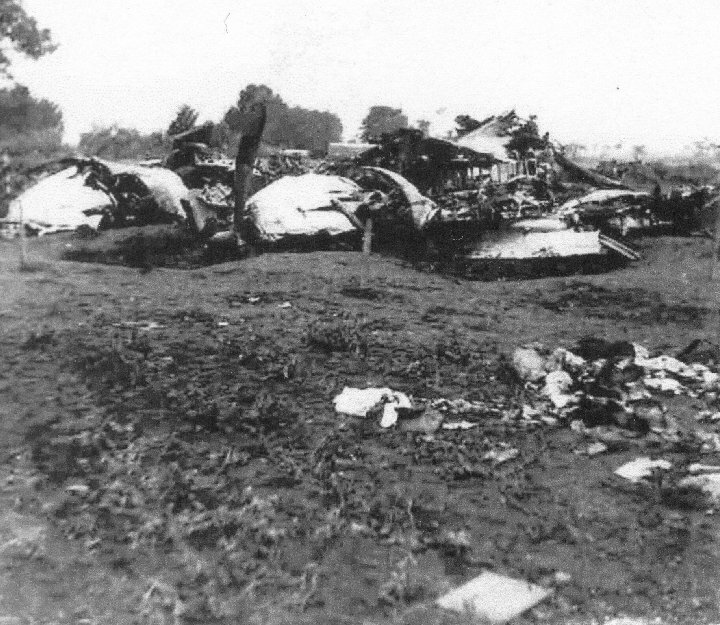 GLOBEMASTER CRASH, JUNE 1953 (TACHIKAWA, JAPAN). 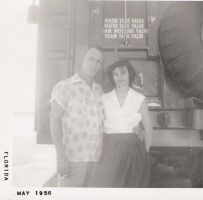 "Posted Monday, June 29, 1953. Broken rain clouds hung low over Tachikawa Air Base last week as the EUR-124 Globemaster, biggest of the Air Force's transport craft, lumbered to the end of the runway. 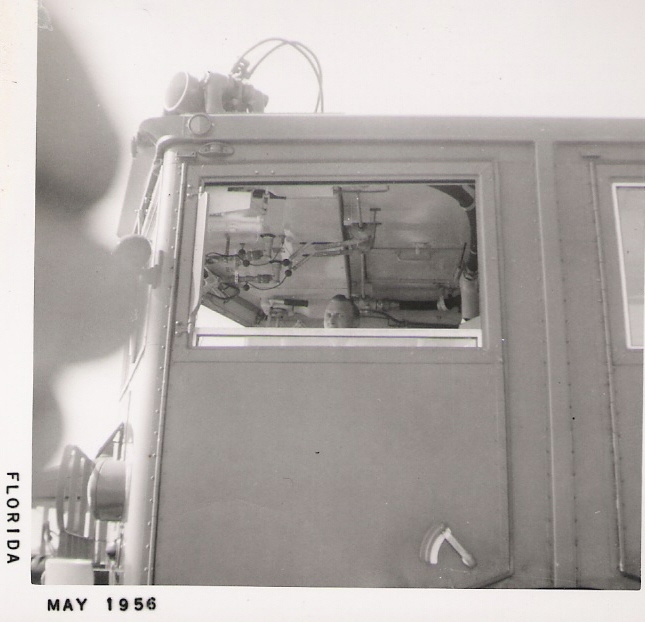 Visibility was a safe 2½ miles, and the 122 Air Force and Army passengers chatted easily as the massive, two-deck plane made a perfect takeoff. 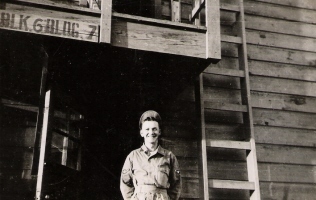 For 120 seconds, the rows of servicemen held fast to their seat belts as the plane lurched and swayed towards the air base; some prayed; one boy clutched his rosary. A second engine failed, and the plane began to lose altitude more rapidly. 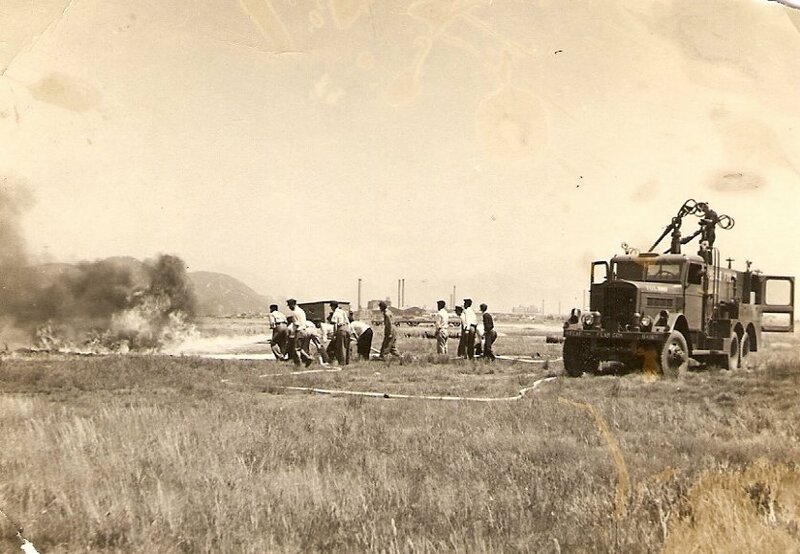 Four miles short of the base, the Globemaster slammed steeply into a watermelon patch, broke up and caught fire, skittering bits of burning metal at a frightened Japanese farmer who stood near by. 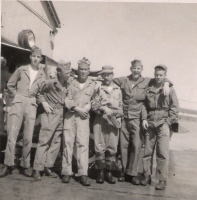 Most, if not all, of the men were killed on impact, which was so great that many bodies were torn from their boots. * Ground Controlled Approach (i.e., instrument) Landing. 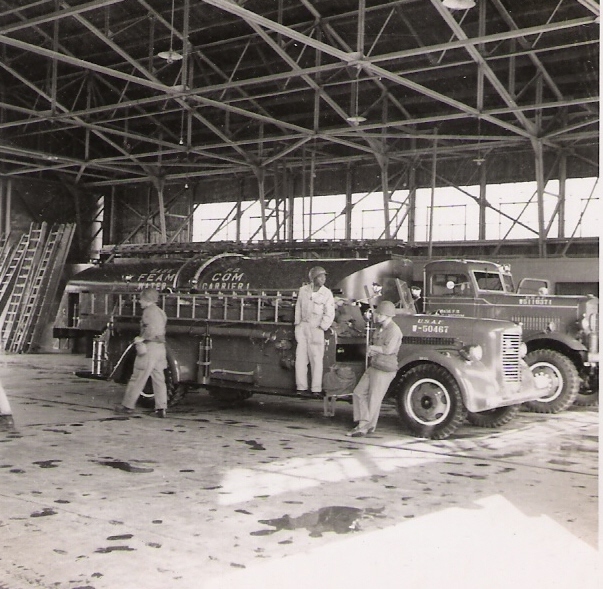 † Next worst disasters: Dec. 20, 1952: U.S.A. F. Globemaster at Moses Lake, Wash.; 87 killed. March 12, 1950: chartered Avro Tudor airliner at Cardiff, Wales; 80 killed. 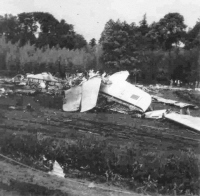 June 24, 1950: North west Air Lines DC-4 in Lake Michigan: 58 killed. 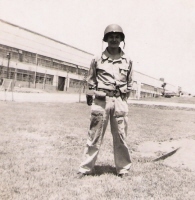 JOHNIE ARZELL NOLEN Statement of Military Service. 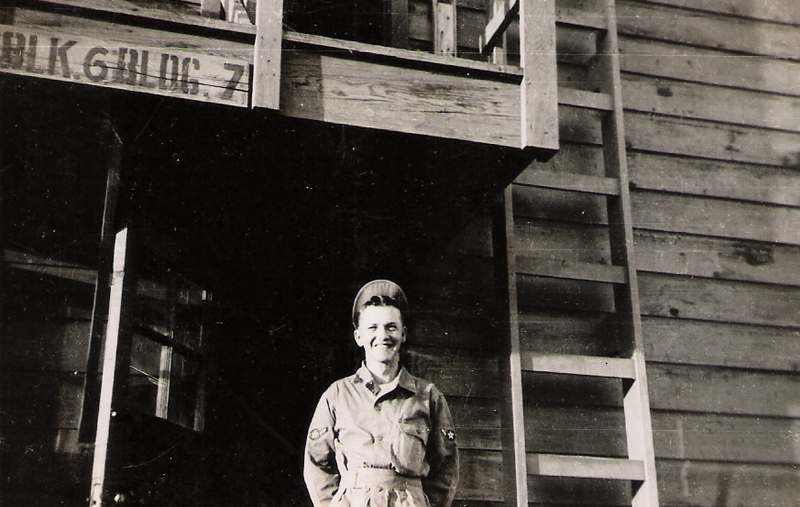 JOHNIE ARZELL NOLEN Statement of Military Service 2. 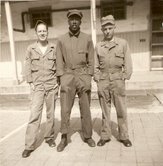 JOHNIE ARZELL NOLEN Statement of Military Service 3. 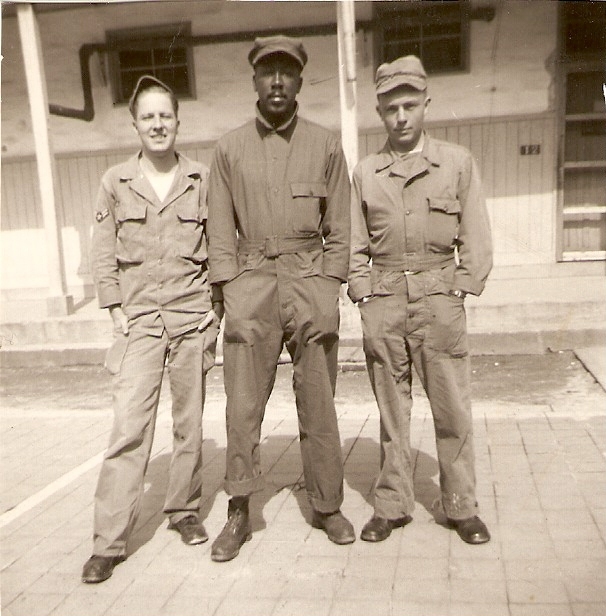 JOHNIE ARZELL NOLEN Statement of Military Service 4. JOHNIE ARZELL NOLEN Statement of Military Service 5. 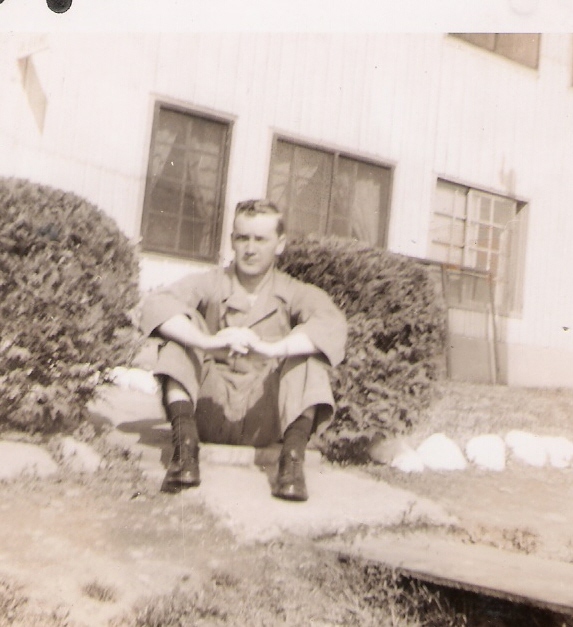 JOHNIE ARZELL NOLEN Statement of Military Service 6. Enlisted: United States Air Force; 7 July 1948 to 6 July 1951. 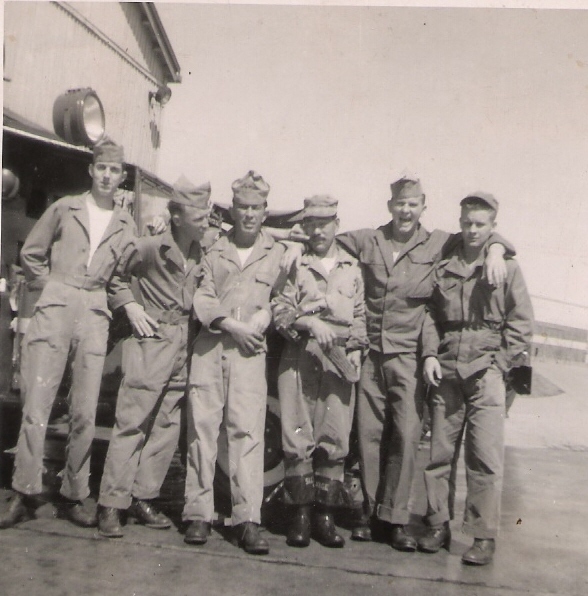 Enlisted: United States Air Force; 7 July 1951 to 6 July 1957. Enlisted: United States Air Force; 7 July 1957 to 6 July 1963. 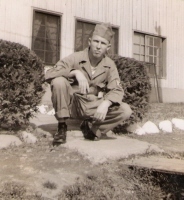 Enlisted: United States Air Force; 7 July 1963 to 31 July 1968. Cpl. 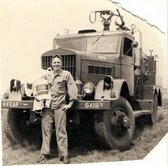 Firefighter - 7 July 1948 to 6 July 1951; Randolph AFB Texas. 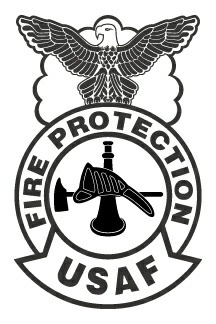 SSG. 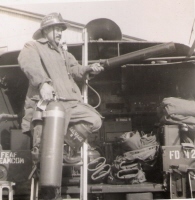 Firefighter - 7 July 1951 to 6 July 1957. 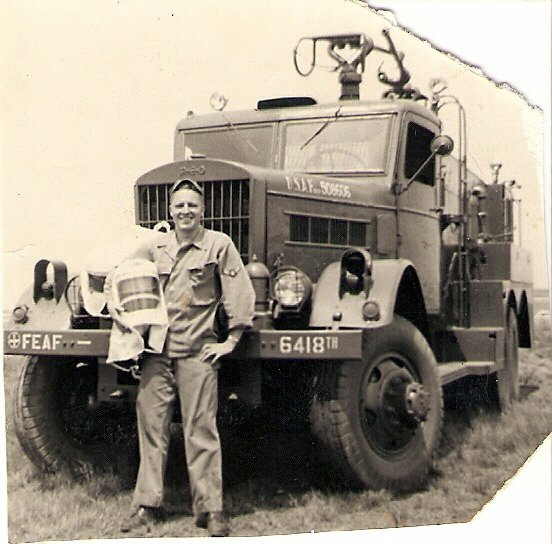 Firefighter - 7 July 1957; Palm Beach AFB Florida. 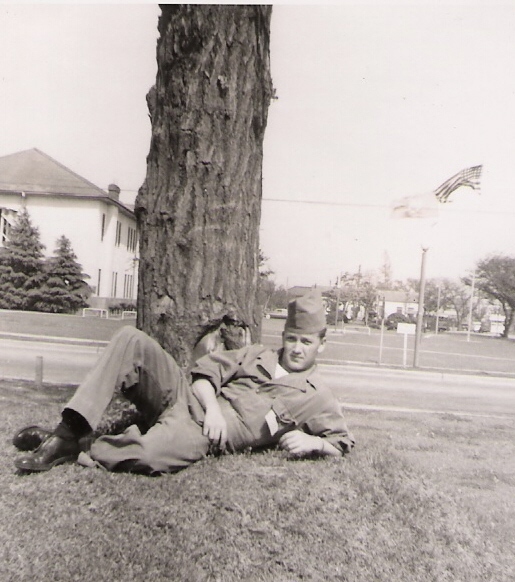 Casual - 9 September 1957; Manhattan Beach AFB New York. 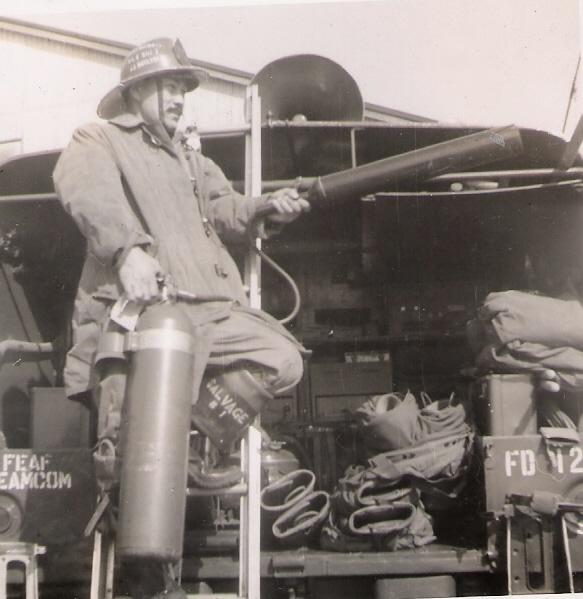 Fire Protection Specialist - Carswell AFB Texas; 14 October 1960. 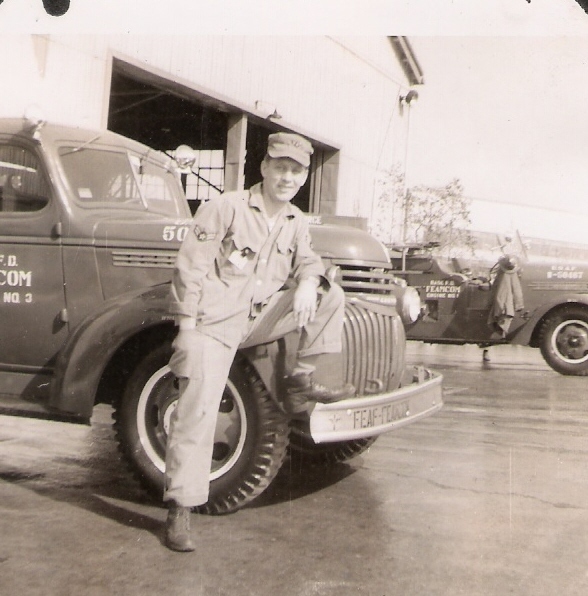 Driver and Relief Crew Chief - Carswell AFB Texas; 20 March 1961. 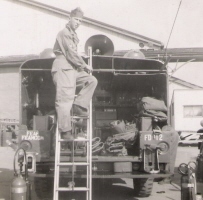 AFB Texas; 11 January 1962. 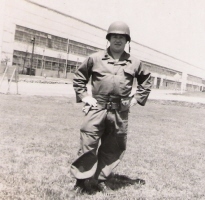 Conditioning Specialist - Pease AFB New Hampshire; 31 August 1964. 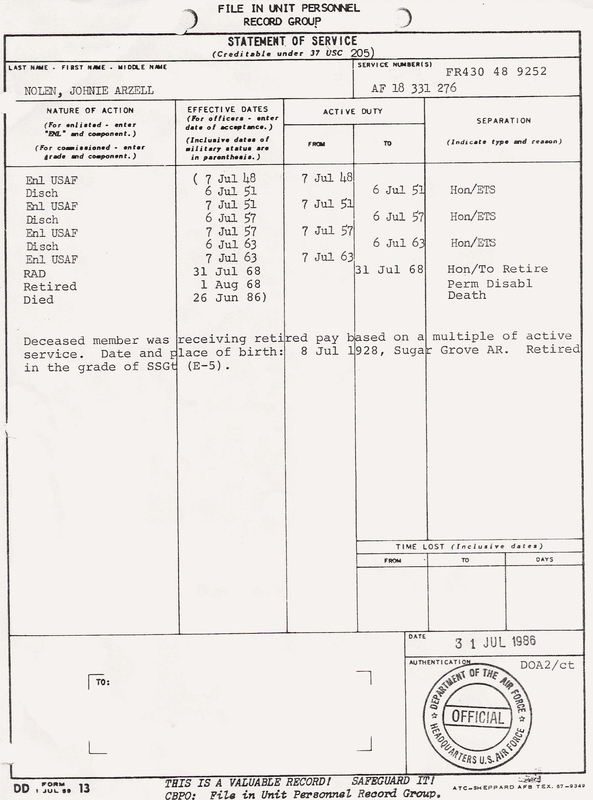 16 September 1952 to 3 February 1954. 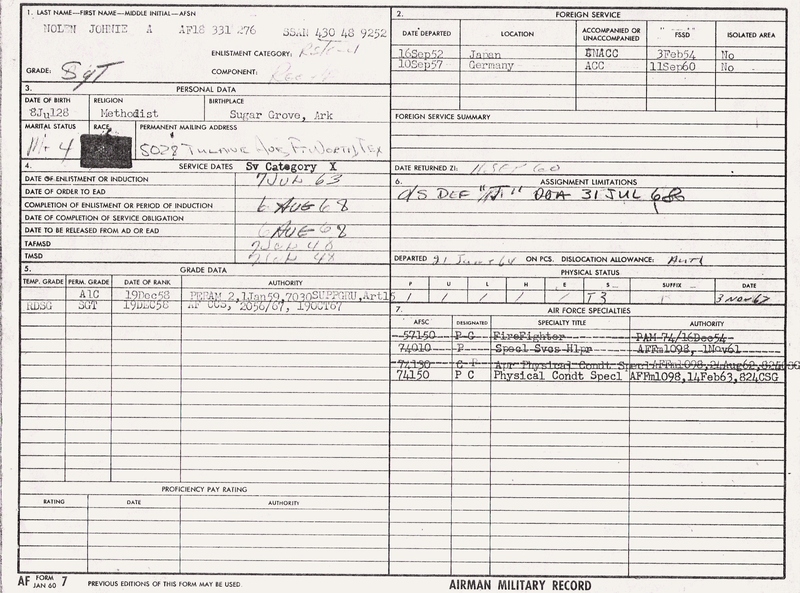 Type and character of separation: Honorable Discharge to Retire, 1 August 1968. Retired in the Grade of SSGT (E-5). 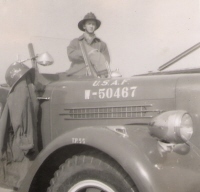 JOHNIE ARZELL NOLEN in driver's seat, USAF Firefighter, Tachikawa Air Base, Japan, 16 September 1952 to 3 February 1954. JOHNIE ARZELL NOLEN, Standing on fire truck, USAF Firefighter, Tachikawa Air Base, Japan, 16 September 1952 to 3 February 1954. JOHNIE ARZELL NOLEN, USAF Firefighter, Tachikawa Air Base, Japan, 16 September 1952 to 3 February 1954. JOHNIE ARZELL NOLEN, ladder back of fire truck, USAF Firefighter, Tachikawa Air Base, Japan, 16 September 1952 to 3 February 1954. 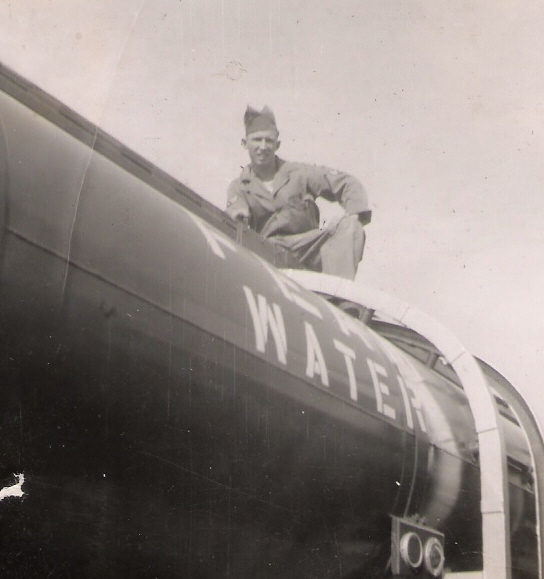 JOHNIE ARZELL NOLEN, USAF Firefighter, water truck, Tachikawa Air Base, Japan, 16 September 1952 to 3 February 1954. 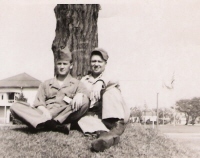 JOHNIE ARZELL NOLEN (left) and one unidentified person, Tachikawa Air Base, Japan, 16 September 1952 to 3 February 1954. JOHNIE ARZELL NOLEN (right) and one unidentified person sitting under tree, Tachikawa Air Base, Japan, 16 September 1952 to 3 February 1954. JOHNIE ARZELL NOLEN (right) and one unidentified person sitting under tree, 2, Tachikawa Air Base, Japan, 16 September 1952 to 3 February 1954. 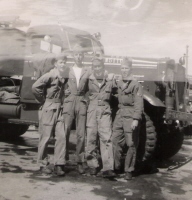 JOHNIE ARZELL NOLEN (second from left) and five unidentified people, Tachikawa Air Base, Japan, 16 September 1952 to 3 February 1954. 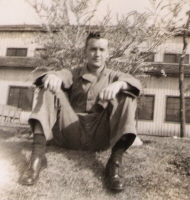 JOHNIE ARZELL NOLEN, Tachikawa Air Base, Japan, 16 September 1952 to 3 February 1954. 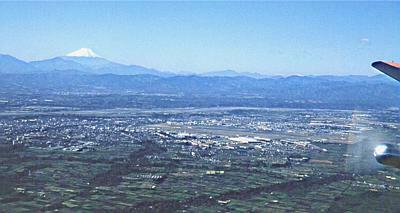 Tachikawa Air Base, Japan, 16 September 1952 to 3 February 1954. 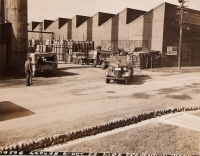 Tachikawa Air Base, Japan, 16 September 1952 to 3 February 1954, 2. 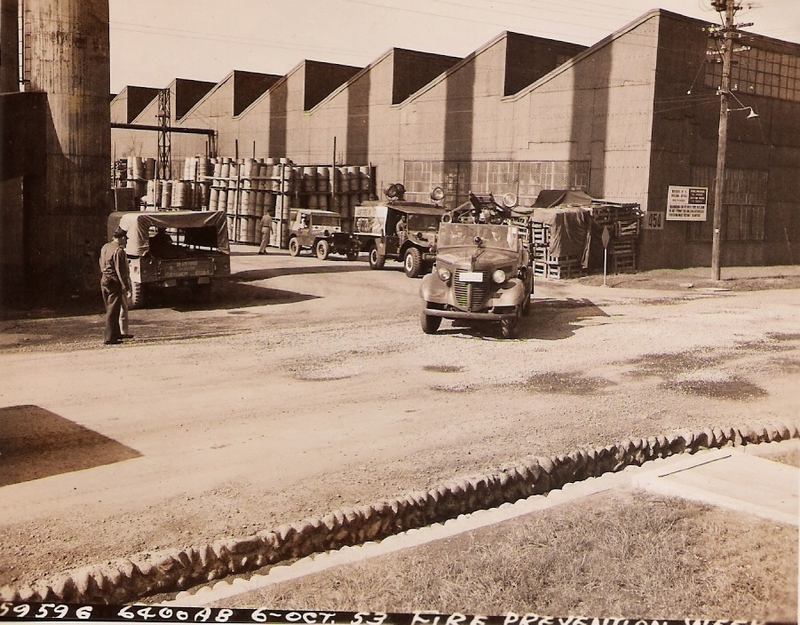 Tachikawa Air Base, Japan, 16 September 1952 to 3 February 1954, 3. Tachikawa Air Base, Japan, 16 September 1952 to 3 February 1954, 4. 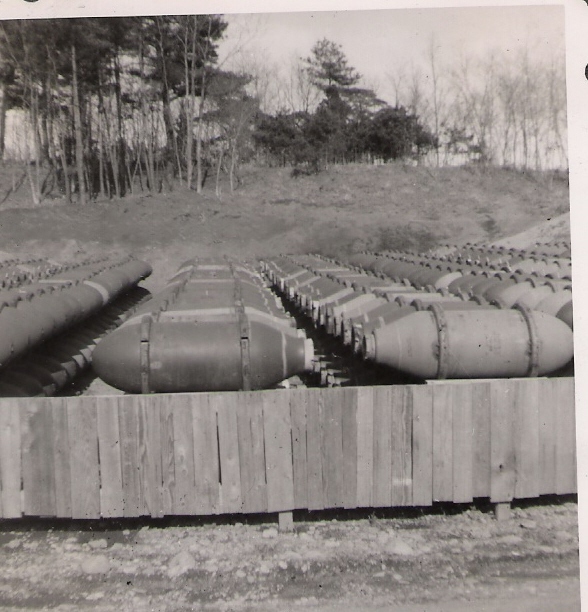 Tachikawa Air Base, Japan, 16 September 1952 to 3 February 1954, 5. 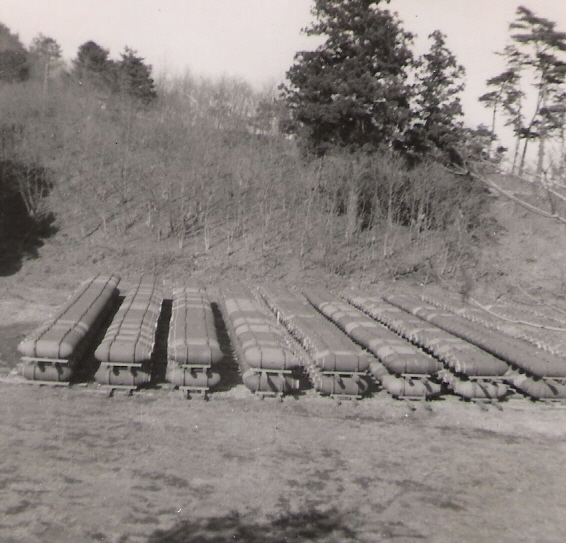 Tachikawa Air Base, Japan, 16 September 1952 to 3 February 1954, 6. 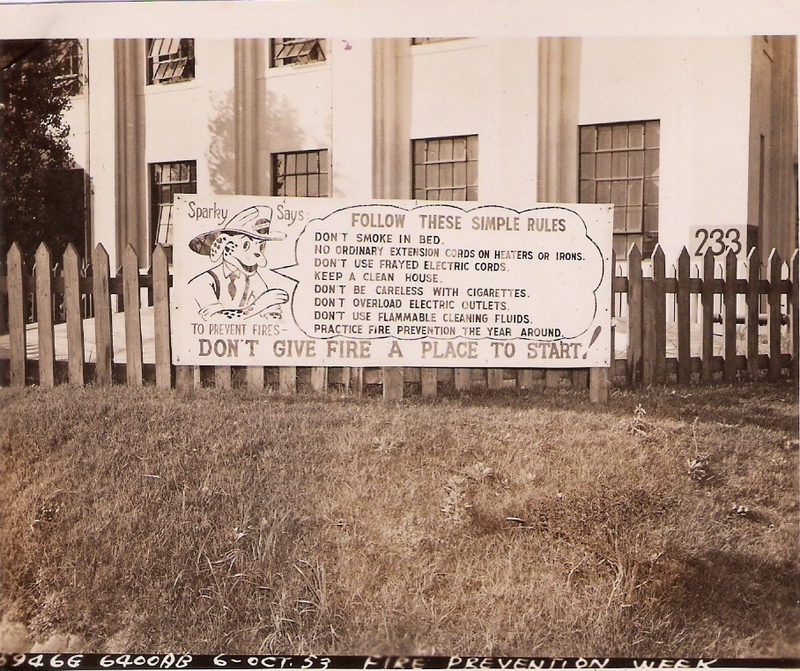 Tachikawa Air Base, Japan, 16 September 1952 to 3 February 1954, 7. 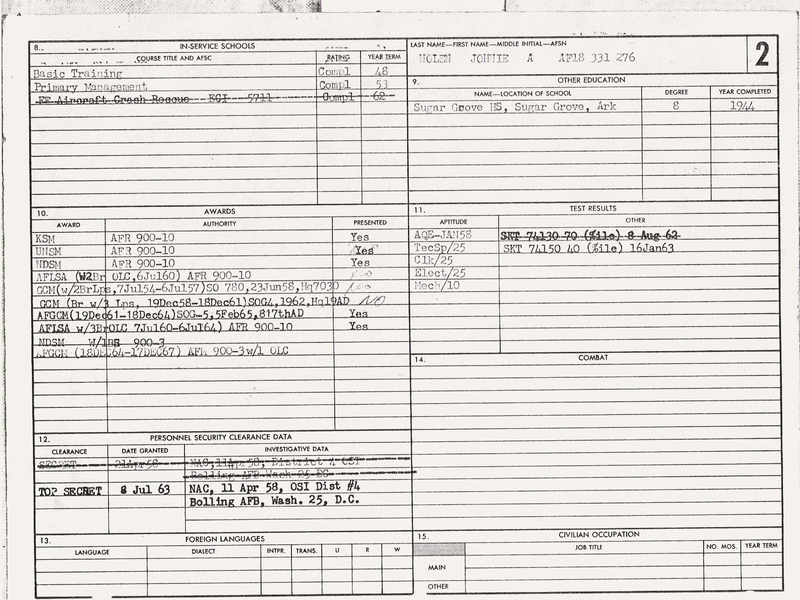 Tachikawa Air Base, Japan, 16 September 1952 to 3 February 1954, 8. 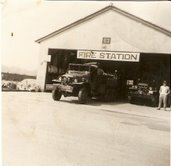 Tachikawa Air Base, Japan, 16 September 1952 to 3 February 1954, 9. Tachikawa Air Base, Japan, 16 September 1952 to 3 February 1954, 10: JOHNIE NOLEN (right). Tachikawa Air Base, Japan, 16 September 1952 to 3 February 1954, 11. Tachikawa Air Base, Japan, 16 September 1952 to 3 February 1954, 12. 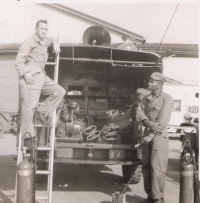 Tachikawa Air Base, Japan, 16 September 1952 to 3 February 1954, 13. 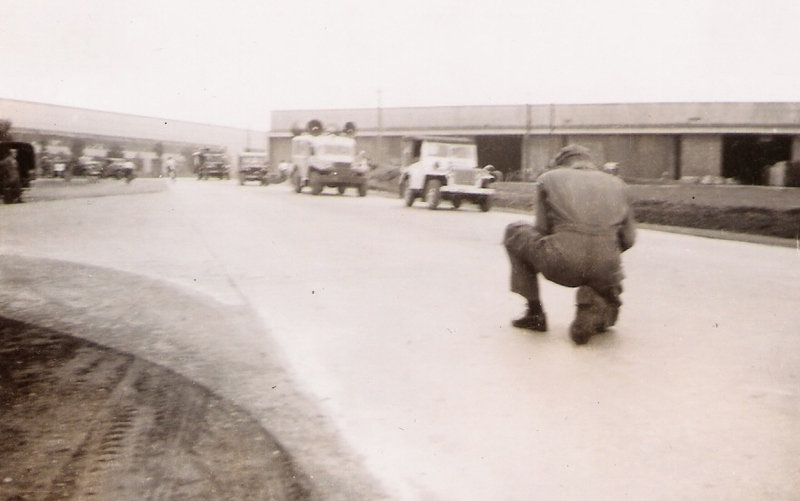 Tachikawa Air Base, Japan, 16 September 1952 to 3 February 1954, 14. 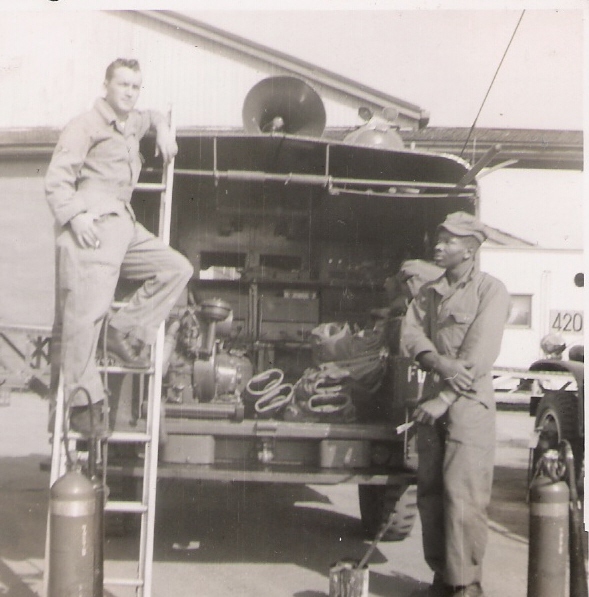 Tachikawa Air Base, Japan, 16 September 1952 to 3 February 1954, 15. Tachikawa Air Base, Japan, 16 September 1952 to 3 February 1954, 16. Tachikawa Air Base, Japan, 16 September 1952 to 3 February 1954, 17. 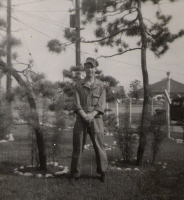 Tachikawa Air Base, Japan, 16 September 1952 to 3 February 1954, 18. 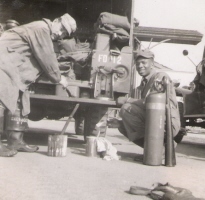 Tachikawa Air Base, Japan, 16 September 1952 to 3 February 1954, 19. * Tachikawa Air Base, Japan, 16 September 1952 to 3 February 1954, 20. 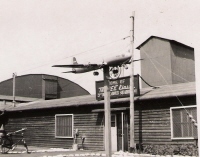 Tachikawa Air Base, Japan, 16 September 1952 to 3 February 1954, 21. 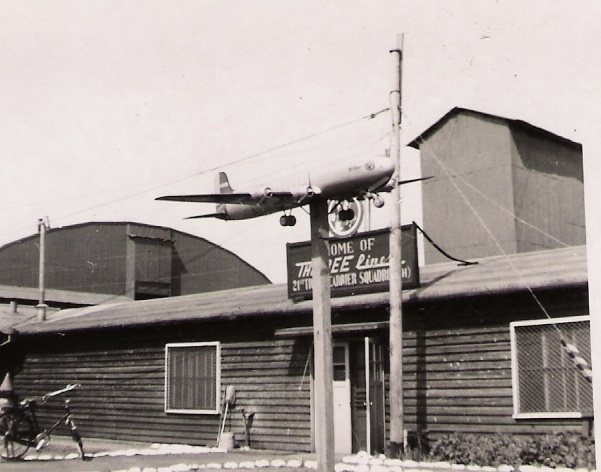 Tachikawa Air Base, Japan, 16 September 1952 to 3 February 1954, 22. 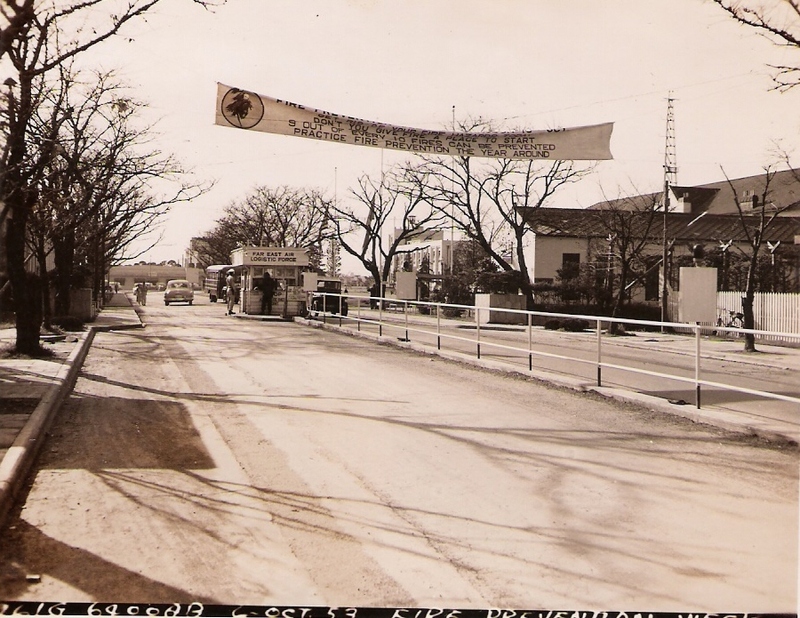 Tachikawa Air Base, Japan, 16 September 1952 to 3 February 1954, 23. 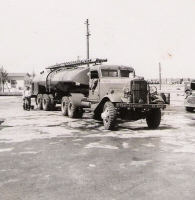 Tachikawa Air Base, Japan, 16 September 1952 to 3 February 1954, 24. 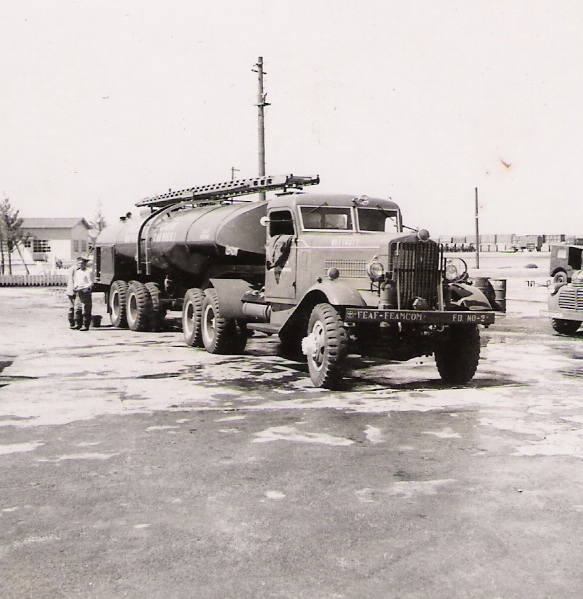 Tachikawa Air Base, Japan, 16 September 1952 to 3 February 1954, 25. 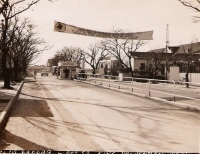 Tachikawa Air Base, Japan, 16 September 1952 to 3 February 1954, 26. Tachikawa Air Base, Japan, 16 September 1952 to 3 February 1954, 27. 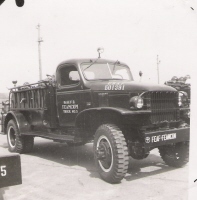 Tachikawa Air Base, Japan, Fire Prevention Week, 6 October 1953. 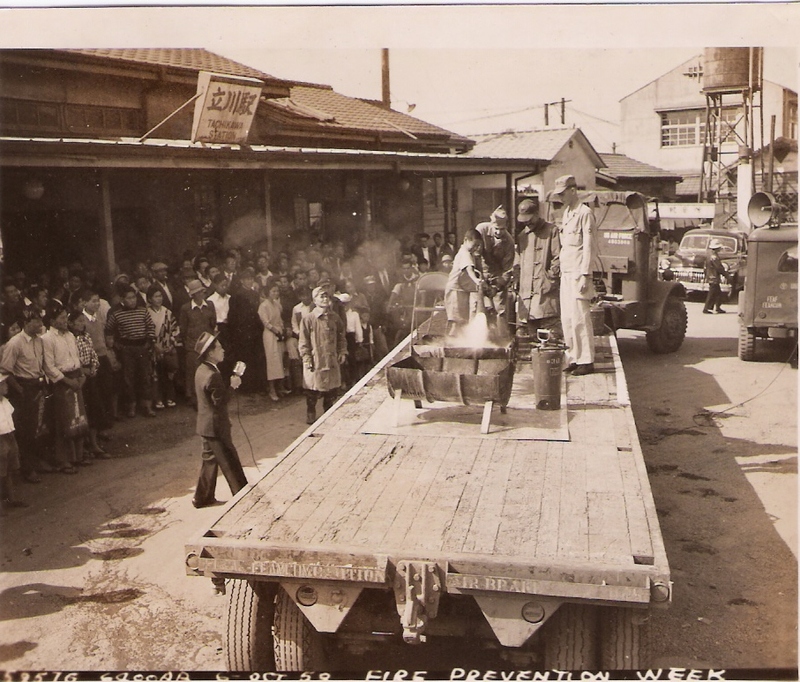 Tachikawa Air Base, Japan, Fire Prevention Week, 6 October 1953, 2. 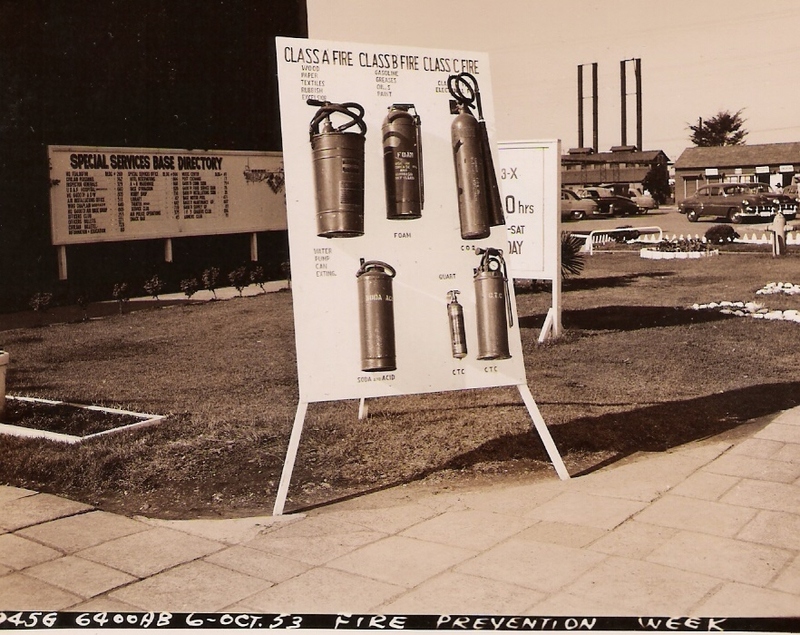 Tachikawa Air Base, Japan, Fire Prevention Week, 6 October 1953, 3. 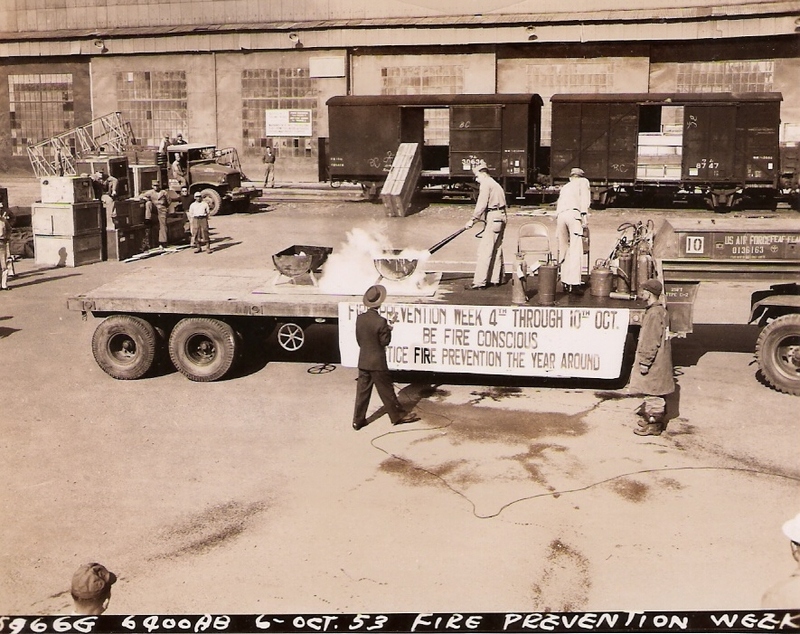 Tachikawa Air Base, Japan, Fire Prevention Week, 6 October 1953, 4. 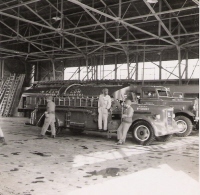 Tachikawa Air Base, Japan, Fire Prevention Week, 6 October 1953, 5. 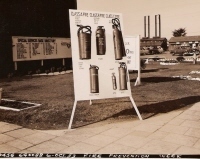 Tachikawa Air Base, Japan, Fire Prevention Week, 6 October 1953, 6. 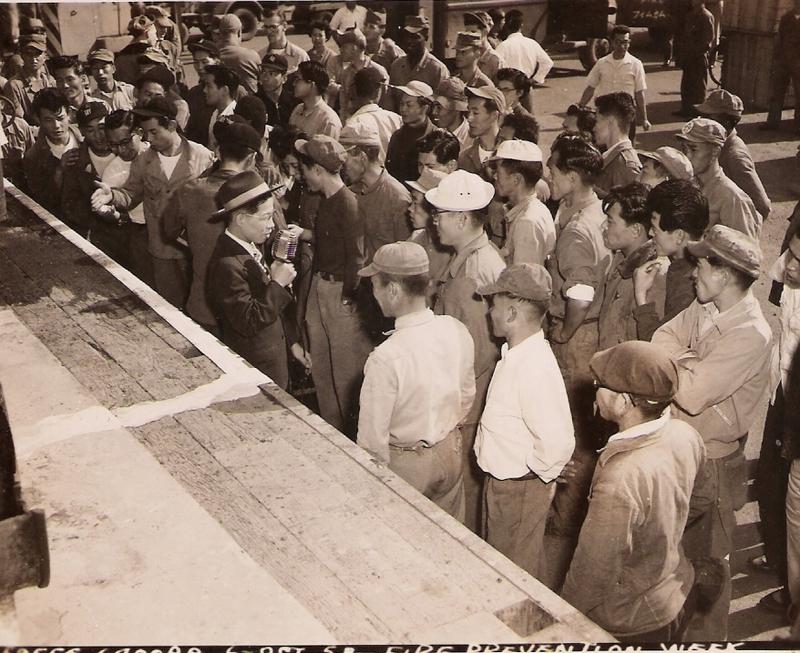 Tachikawa Air Base, Japan, Fire Prevention Week, 6 October 1953, 7. Tachikawa Air Base, Japan, Fire Prevention Week, 6 October 1953, 8. 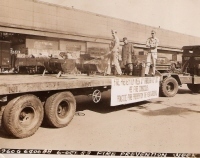 Tachikawa Air Base, Japan, Fire Prevention Week, 6 October 1953, 9. 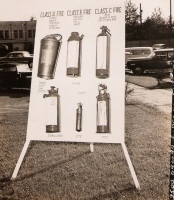 Tachikawa Air Base, Japan, Fire Prevention Week, 6 October 1953, 10. 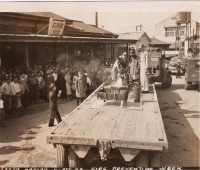 Tachikawa Air Base, Japan, Fire Prevention Week, 6 October 1953, 11. 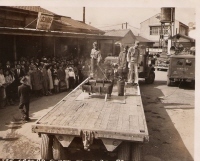 Tachikawa Air Base, Japan, Fire Prevention Week, 6 October 1953, 12. 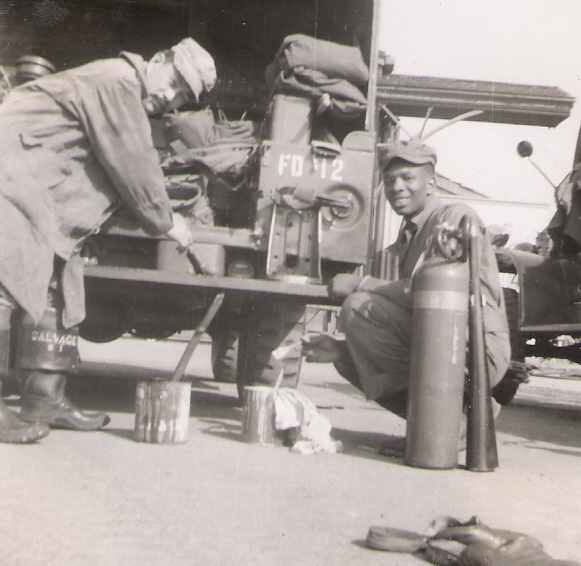 Tachikawa Air Base, Japan, Fire Prevention Week, 6 October 1953, 13. 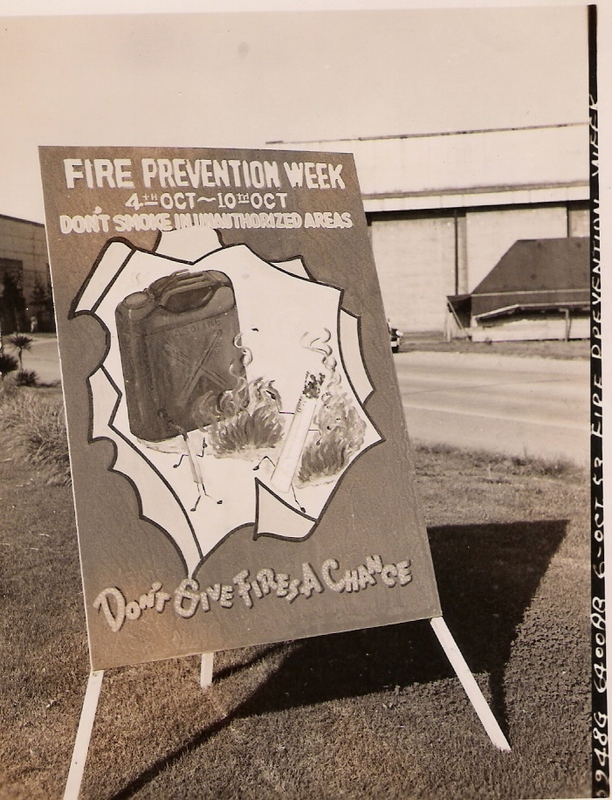 Tachikawa Air Base, Japan, Fire Prevention Week, 6 October 1953, 14. 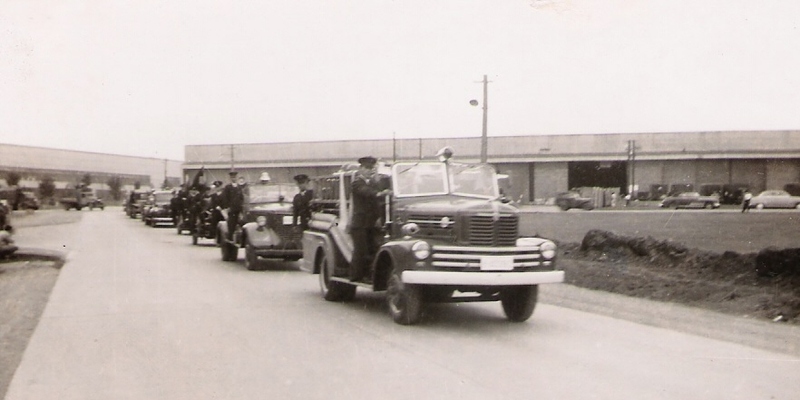 Tachikawa Air Base, Japan, Fire Prevention Week, 6 October 1953, 15. 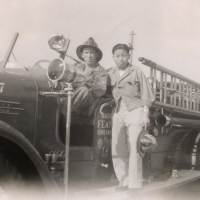 Tachikawa Air Base, Japan, Fire Prevention Week, 6 October 1953, 16. Tachikawa Air Base, Japan, Fire Prevention Week, 6 October 1953, 17. 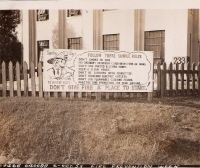 Tachikawa Air Base, Japan, Fire Prevention Week, 6 October 1953, 18. 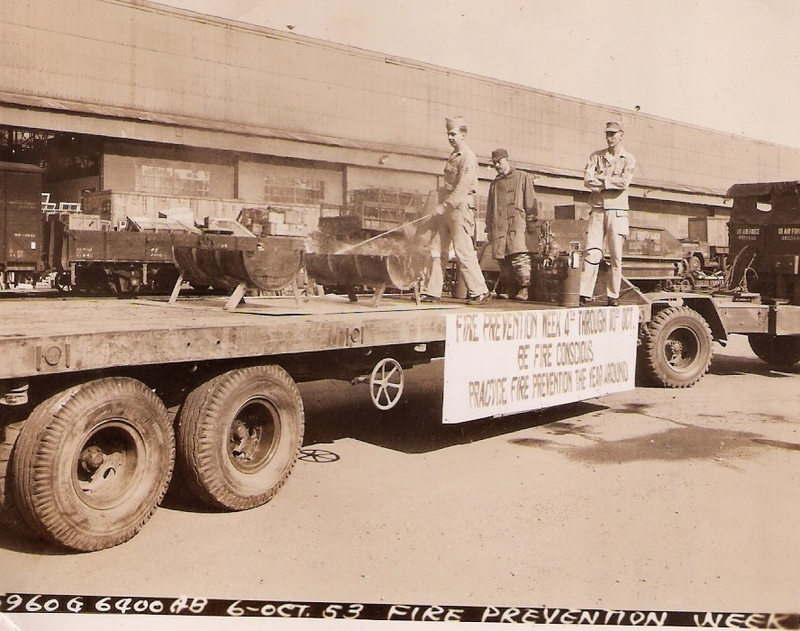 Tachikawa Air Base, Japan, Fire Prevention Week, 6 October 1953, 19. 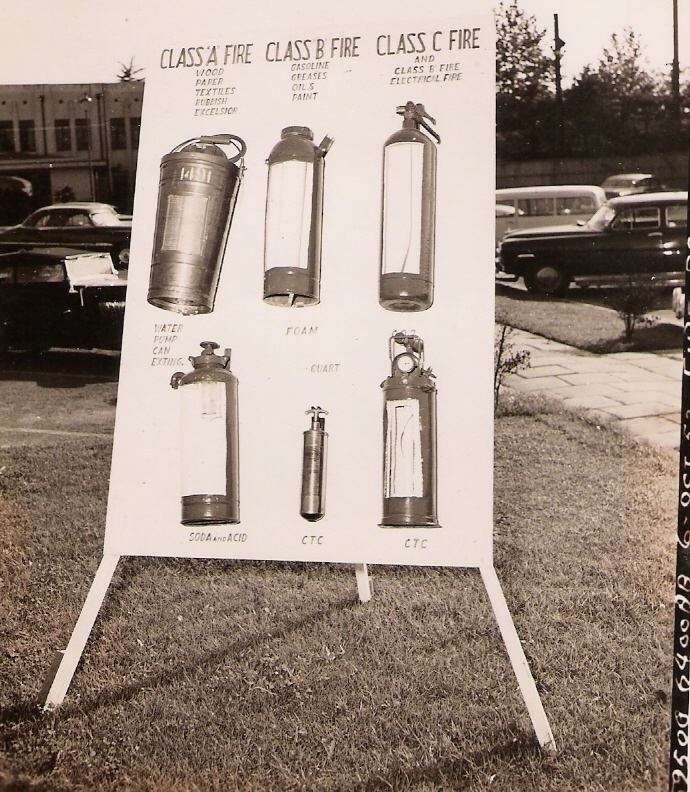 Tachikawa Air Base, Japan, Fire Prevention Week, 6 October 1953, 20. 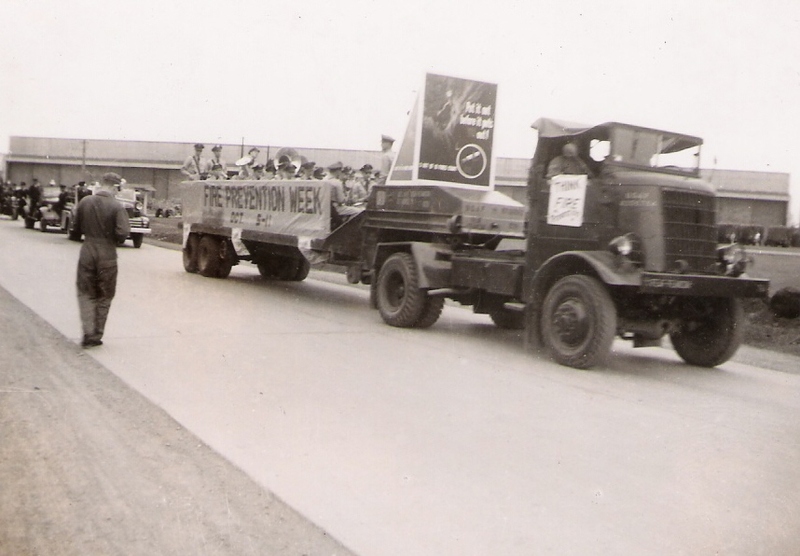 Tachikawa Air Base, Japan, Fire Prevention Week, 6 October 1953, 21. 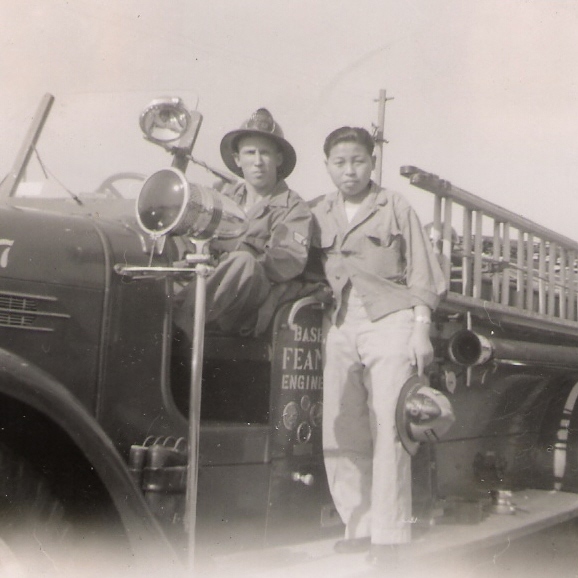 Tachikawa Air Base, Japan, Fire Prevention Week, 6 October 1953, 22 - Japanese Fire Crew. 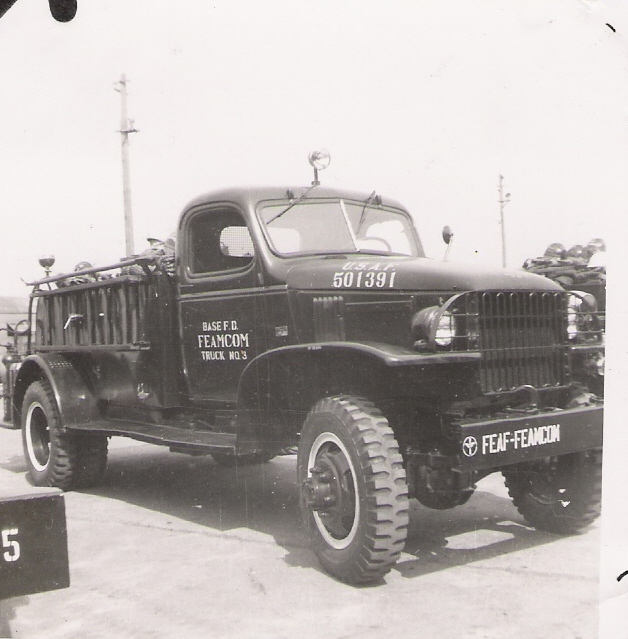 Tachikawa Air Base, Japan, Fire Prevention Week, 6 October 1953, 23 - Japanese three wheeled fire vehicle. 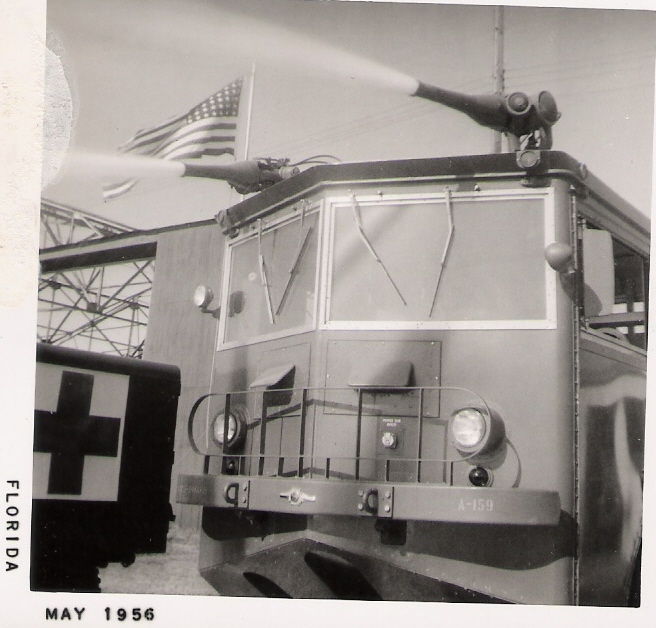 1956 WEST PALM BEACH, FLORIDA CITY DIRECTORY. 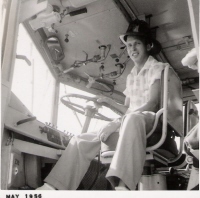 1956 - NOLEN, JOHNIE (MAEM) [MAE?] USAF. Home: 2757 S. Lake Ave. (WPB). 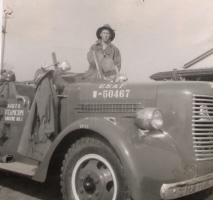 Palm Beach Air Force Base, Florida, JOHNIE ARZELL NOLEN in fire truck, May 1956. 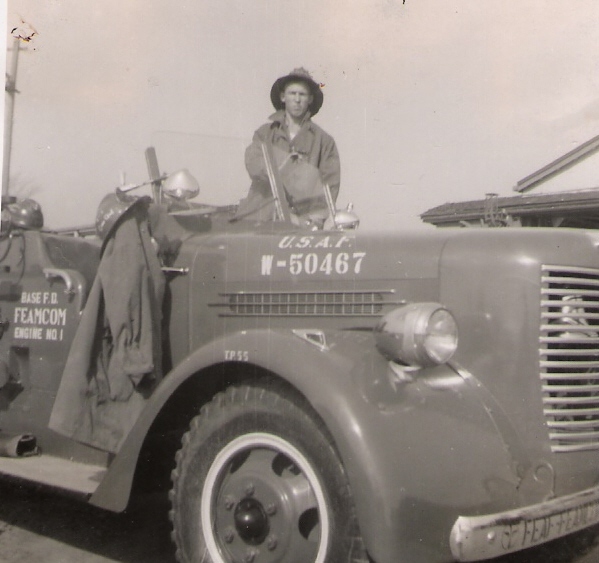 Palm Beach Air Force Base, Florida, JOHNIE ARZELL NOLEN in fire truck, May 1956, 2. 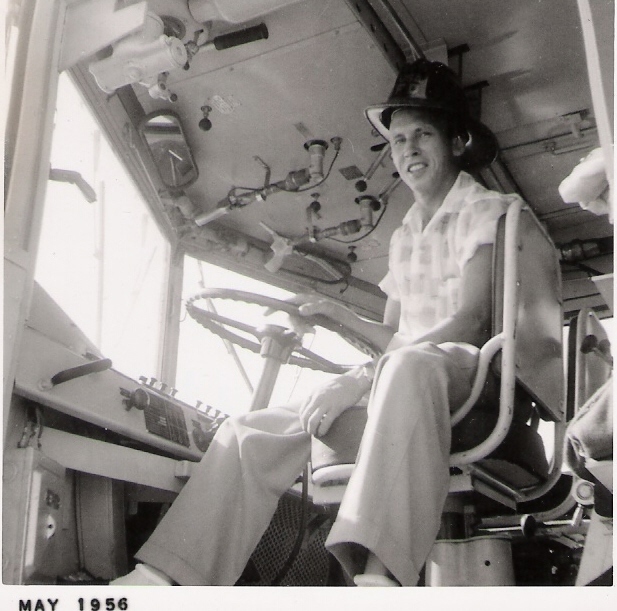 Palm Beach Air Force Base, Florida, JOHNIE ARZELL NOLEN in fire truck, May 1956, 3. Palm Beach Air Force Base, Florida, JOHNIE ARZELL NOLEN and LILLIE MAE NOLEN at back of fire truck, May 1956. I hope you don't mind me writing you. My name is Sidney Earl Goodroe. I live in Macon, GA. My father was Herman Joe Goodroe. He was killed in the plane crash described on your website. The plane crash at Tachikawa Air Force Base. 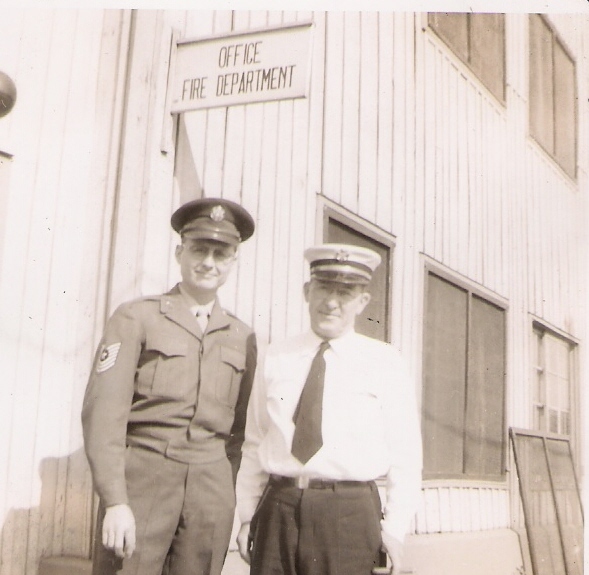 It is to my understanding that the Mr. Nolen on that website was one of the firefighters that arrived on the scene to assist. He seems to have been one of the men who recovered bodies from the crash. 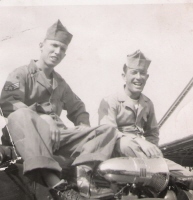 I was only 18 months old when my father was killed on that plane. All these years I have had nothing but the local newspaper clipping and a few personal items of his to take out and remember him by. I was so ecstatic to finally find pictures of the base and, ultimately, the pictures of the crash and the Times article posted on this site. You don't know what it meant to me to finally be able to actually see this new information about my Dad's death. It is possible that Mr. Nolen was responsible for recovering my fathers remains. I wish to thank your family for giving me this chance to express my deepest thanks for this man and his efforts in getting my father home to us. Please, if you would, respond to this e-mail. I would like to ask more questions possibly, or just know that you recieved this heart felt thanks. I will anxiously await your reply. Thanks for your e-mail. 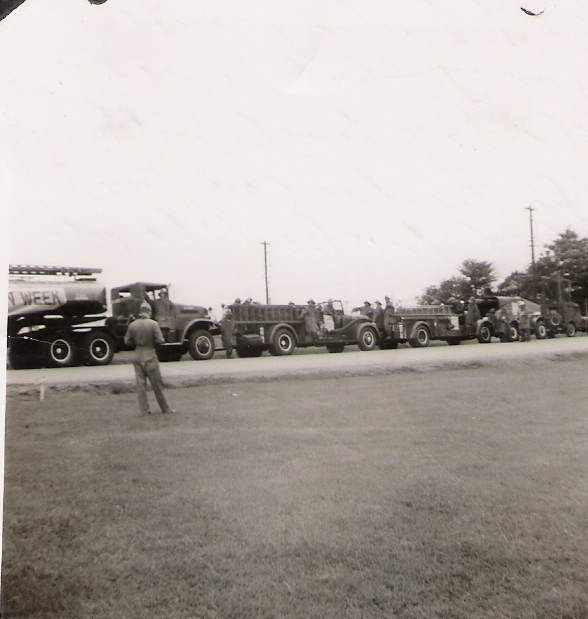 Unfortunately, I know nothing more about this event in my father's life other than what is already posted on my website @ http://freepages.genealogy.rootsweb.com/~nolenancestry/page11.html. 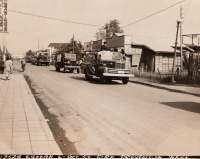 I was not born until four years later and my mother remembers my father writing back home about that days events. 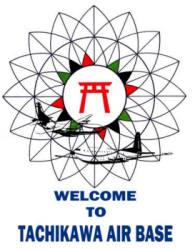 There is a Yahoo Group @ http://groups.yahoo.com/group/TachikawaAirBaseJapan/ for Tachikawa Air Force Base. And you do have to register and sign in to be able to use that particular web site. 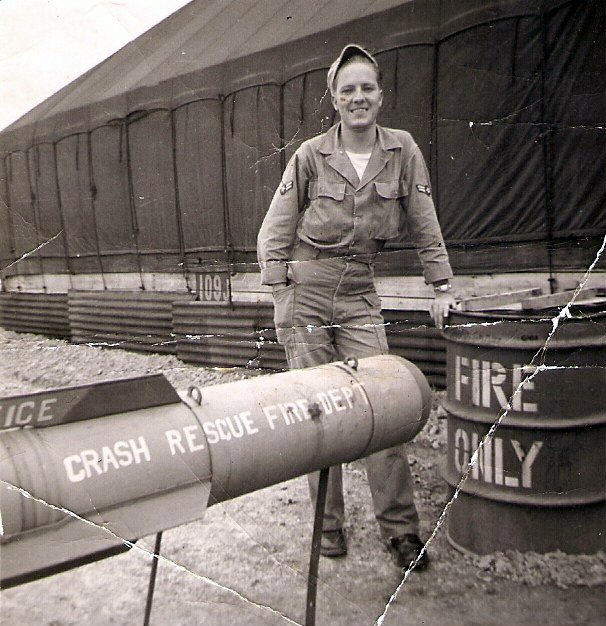 Thank-you for your kind words, and I am truly sorry you never got to know your father due to this tragic military accident. My father died in 1986 and retired from the military after twenty years of service. 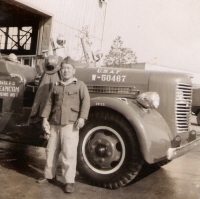 I am certain he responded to numerous tragic events during his time as a Firefighter for the United States Air Force. Again, thank-you for your e-mail. I wish you and your family all the best. Thank you for your speedy reply. 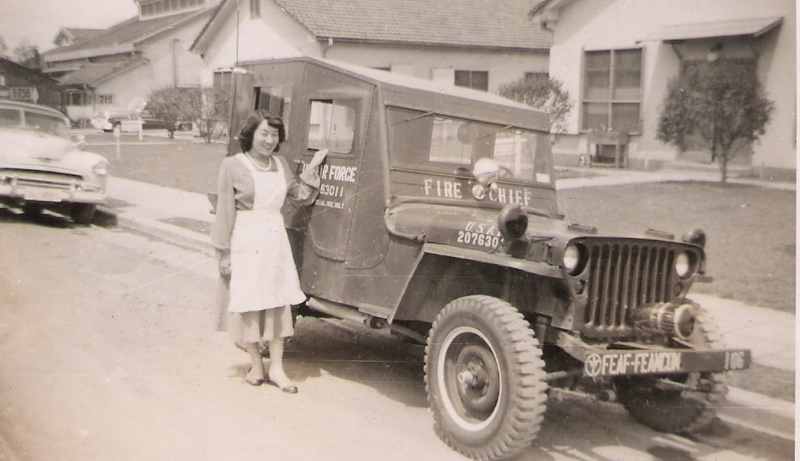 This website has answered virtually all the questions my mother and I have asked ourselves over 55 years of my life. 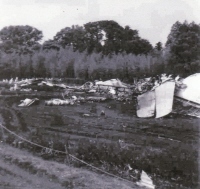 And to finally have actual pictures of the wreckage posted there, while being a tragedy, has finally given me some insight about the crash itself. I thank you, and shall always honor your fathers memory for his service to his country and on that tragic day. 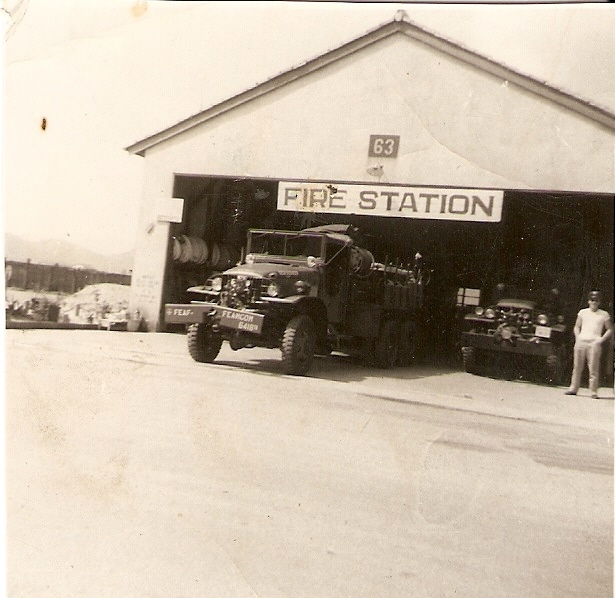 The following Tachikawa Airbase photographs appear on this webpage with the permission of Ted Heinbuch, U.S. Military Fire Apparatus Historian. 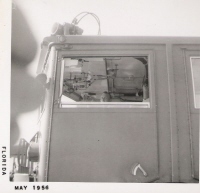 I wanted to share with you these photos I found on eBay. 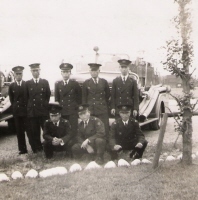 They are from Tachikawa Airbase and it looks like they may be from the same period that Johnie served there. 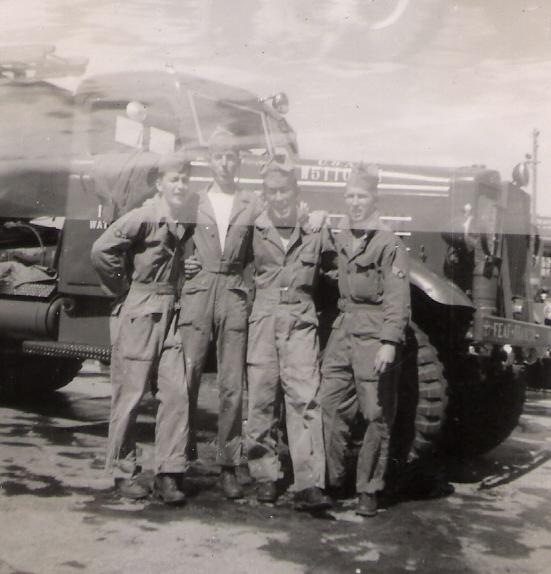 I don't have the name of the young airman that appears in the photos. 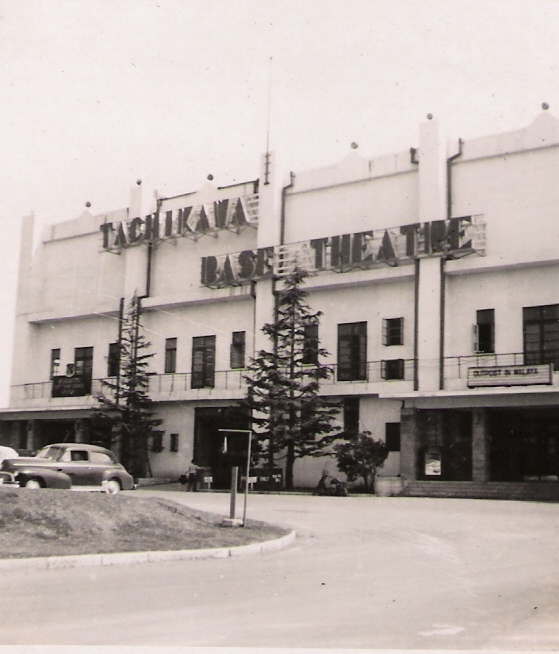 3 December 2010 e-mail: 1953 Tachikawa photographs. 1. 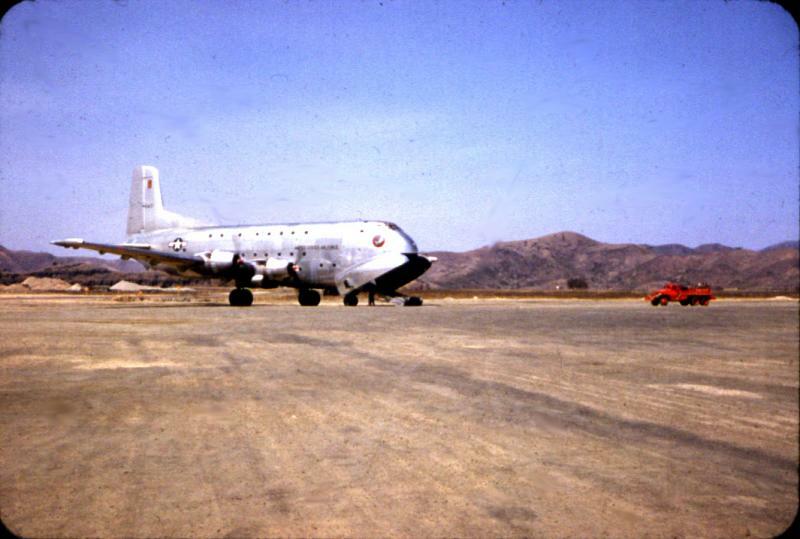 C-124 Globemaster II @ http://www.globalsecurity.org/military/systems/aircraft/c-124.htm. 2. Time Magazine @ http://www.time.com/time/magazine/article/0,9171,889723,00.html. 1,000 YEARS OF O'NOLAN HISTORY IN IRELAND & THE NEW WORLD: MICHAEL O'NOLAN, COUNTY GALWAY - 1473, (ESTIMATED BIRTH: 1410-1440) AND THE DESCENDANTS OF DONELL OGE O'NOLLOGHAN (O'NOLAN) & JULIAN FALLON OF GALWAY - 1500, DONELL OGE O’HOLOGHAN (O’NOLAN) OWNER OF QWAROWN BROWN (CARROWBROWNE) CASTLE - 1574, TOMHAS O'H-UALLACHAIN (THOMAS NOLAN) & AGNES MARTIN, BALLINROBE CASTLE, MAYO COUNTY IRELAND - PRIOR TO 1585 THOMAS NOLAN RESIDED AT "THE CREVAGHE" (CREAGH CASTLE) PURCHASING ENNISCRONE CASTLE IN COUNTY SLIGO AFTER 1597 DYING 18 JUNE 1628; JOHN NOLAN & FAMILY ATTACKED AND FORCEFULLY EVICTED FROM ENNISCRONE CASTLE, 1641-42; JOHN NOWLIN LIVING IN ISLE OF WIGHT COUNTY, VIRGINIA, 1643; THOMAS NOLIN (NOLUN) OF JAMES CITY COUNTY, VIRGINIA, 1717; WILLIAM NOWLAND (NOLAND) (NOWLIN) OF GOOCHLAND COUNTY, VIRGINIA, 1740. 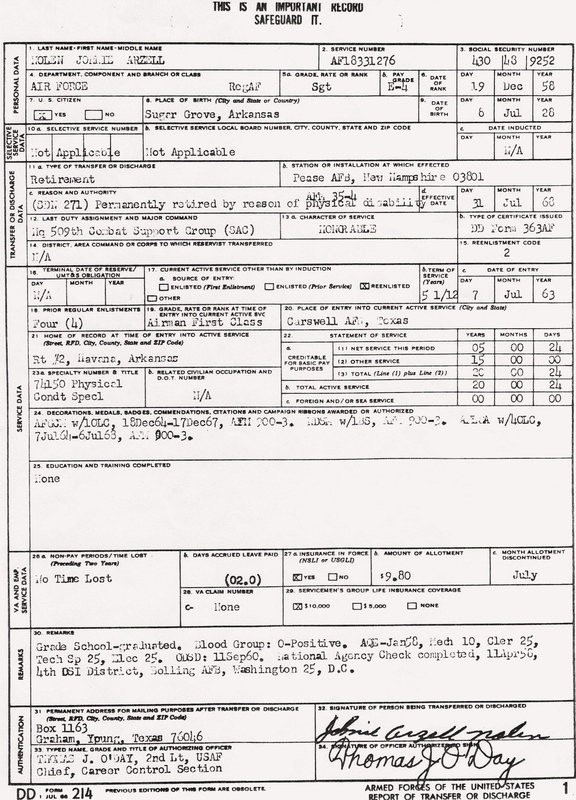 O'NOLAN (NOWLAND) (NOLAND) (NOWLEN) (NOWLIN) (NOLUN) (NOLIN) (NOWLING) (NOLEN) CENSUS, DEED, LAND, MARRIAGE, & OBITUARY RECORDS, 195-1990: IRELAND, VIRGINIA, NORTH CAROLINA, TENNESSEE, ALABAMA, ARKANSAS & TEXAS. TOWNSHIPS OF CARLOW COUNTY, IRELAND. 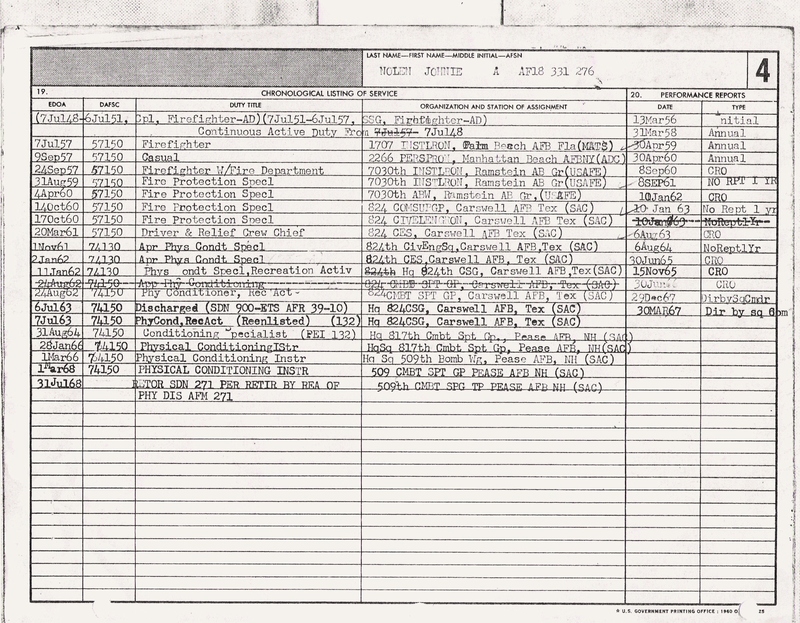 BENNER, GOTTHARDT, HAGELGANS, & LORENZ GENEALOGY. POETRY OF GLENN ALLEN NOLEN. FAMILY PHOTOS OF GLENN ALLEN NOLEN. DESCENDANTS OF JOHN MOBLEY OF SOUTH RIVER PARISH, ANN ARUNDEL COUNTY, MARYLAND, 1687. DESCENDANTS OF JOHN M. (MAC) HORTON: GEORGIA, 1827. BLUE MOUNTAIN DAM, AR: CEMETERY RELOCATION RECORDS. 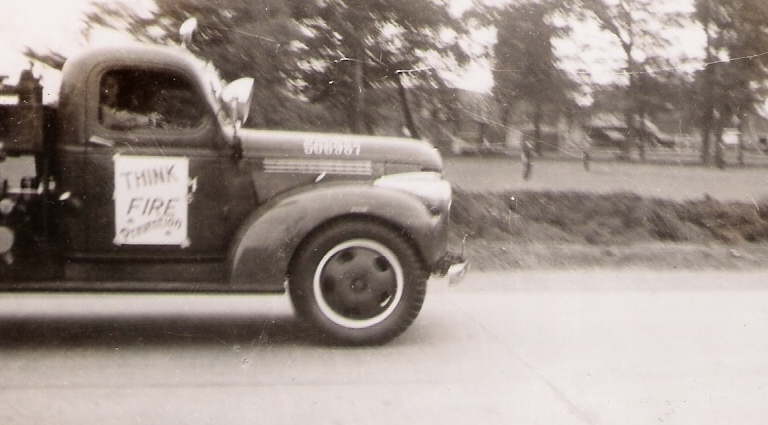 DESCENDANTS OF CHRISTIAN ADAM BARTH AND CATHERINE WUNDERLICK. 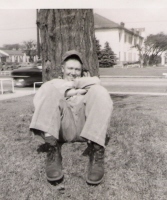 WEB PAGES OF GLENN ALLEN NOLEN. ONLINE SHORT STORY BY EDWARD EVERETT HALE (1822–1909): THE MAN WITHOUT A COUNTRY. THE HARVARD CLASSICS SHELF OF FICTION, 1917. CENSUS OF CARLOW COUNTY IRELAND, 1659. 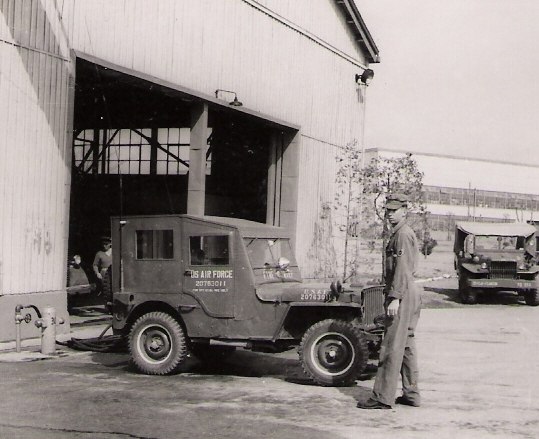 EARLY HISTORY OF MIDDLE TENNESSEE. 1860 CENSUS WILLIAMSON CO. TN. 1880 CENSUS YELL CO. AR. MOBLEY CEMETERY, YELL CO. AR. 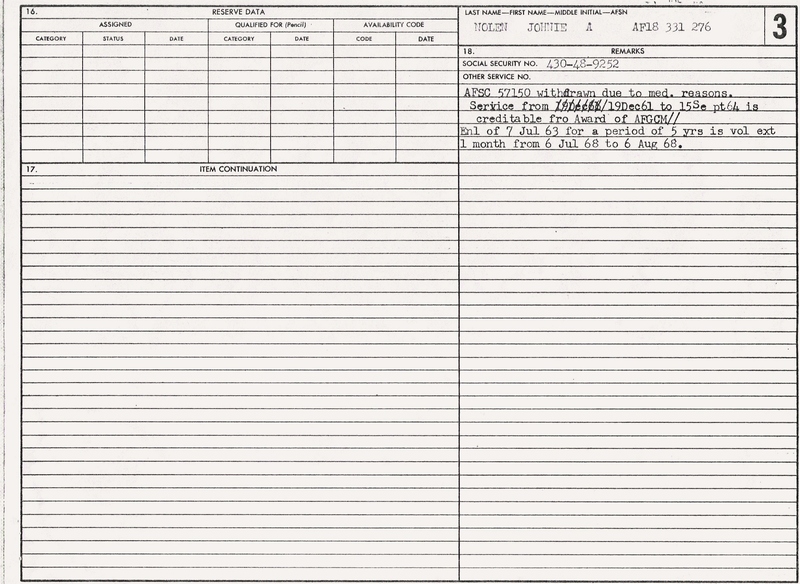 CEMETERY RECORDS OF YELL CO. AR. DESCENDANTS OF PIERCE NOWLAND (NOLAND)- VERY LARGE DOCUMENT: BE PATIENT. THE NICOLAUS HEINRICH CRIST ACCOUNT BOOK - NICOLAUS HEINRICH CRIST (1716-1783) & ANA CATHERIN NOWLIN (1720-1783). UNITED STATES MIGRATION PATTERNS FROM 1660. HISTORY OF THE FIRST REGIMENT ALABAMA VOLUNTEER INFANTRY C. S. A. 11TH ALABAMA CAVALRY REGIMENT, CSA, ALABAMA. 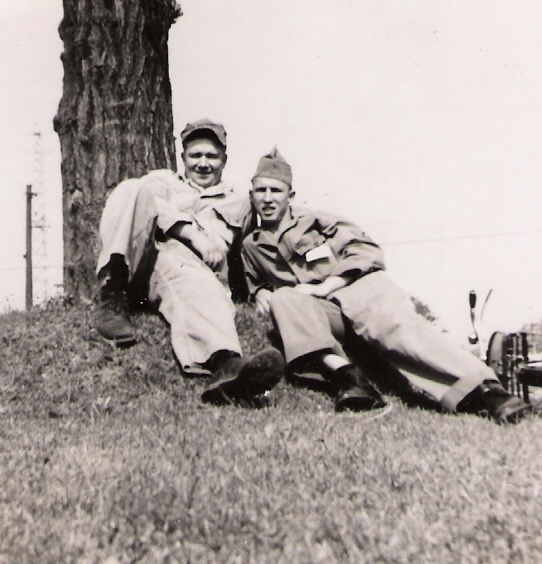 DESCENDANTS OF JOHN NOWLAN (NOWLIN). ASHOKAN FAREWELL (HARPSONG), SONG DURATION: 3:08. MYTHS AND LEGENDS OF THE CELTIC RACE. IRISH MAGIC AND TUATH DE DANAANS. IRISH SEPT AND CLAN PAGES. E-MAIL GLENN ALLEN NOLEN @ ganolen@gmail.com.